Goldfish Stocking – How many goldfish in a tank that you can keep? | My Goldfish Is Alive! 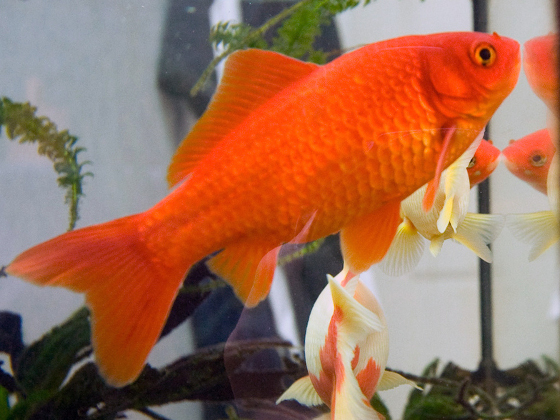 Goldfish Stocking – How many goldfish in a tank that you can keep? Alright, let’s get back to the original intention of this article. I am very sure as a new goldfish keeper, you wonder how big your tank should be. 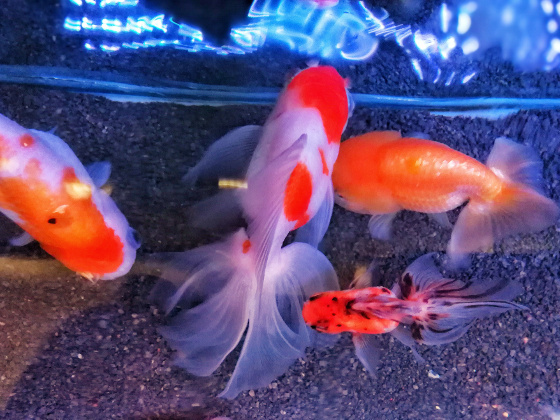 Besides that, if you already got the addiction of buying more and more fish, you would want to know how many goldfish in a tank that you can keep, right? “Hey! if the fish shop can keep so many in one tank, why can’t we?”, right? How much space does a goldfish actually needs? 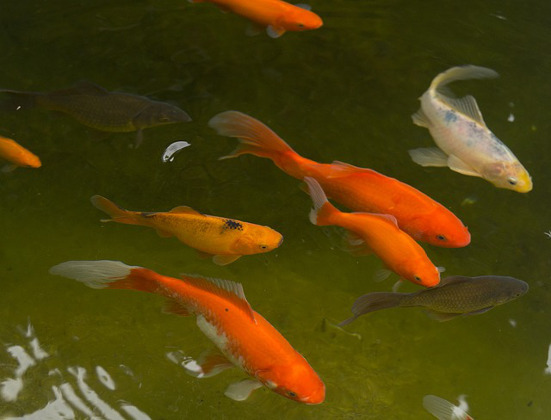 Goldfish in general come in 2 body types – streamlined and egg-shaped. Besides the look, these body types affect the goldfish potential size as well. Goldfish with streamlined body type such as common goldfish, Comet, Shubunkin, and Wakin can grow to at least 12″ in body length which is double the size of their egg-shaped body type counterpart. 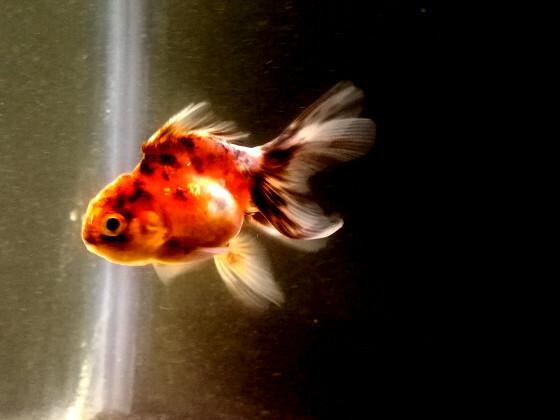 Examples of goldfish with the egg-shaped body are Oranda, Ranchu, Telescope, and Ryukin. So in short, goldfish can grow really large! If they are kept in space that is too small for them, their growth will get stunted and this affects their health tremendously. Bioload, in general, refers to the amount of wastes produced. If you have not heard about Nitrogen Cycle, please have a quick read about it at this link because this knowledge is CRUCIAL for every fish keeper. When a fish is considered as having a high bioload, it means that it produces a lot of wastes; and if there are not enough beneficial bacteria to complete the whole Nitrogen Cycle, the tank will turn toxic very quickly. This is even worse with smaller tanks where the toxic concentration builds up much faster. The goldfish is considered to be one of those aquarium fishes that have very high bioload. Yeap, they do eat, pee and poo a lot! So based on these 2 factors alone, they are reasons enough that goldfish do require more space. The recommended stocking for goldfish is at least 20 gallons for the first goldfish and at least 10 gallons each for subsequent goldfish. This being said, remember that streamlined body type grows bigger than the egg-shaped ones? Well, they will be happier with much larger space… and a pond seems to be a better environment for them. So how many goldfish in a tank? Well now that you know the recommended tank stocking which is at least 20 gallons for the first goldfish and 10 gallons each for subsequent ones, it should be easy to gauge how many goldfish you can have in your tank. Example: If you have 50 gallons of water in the tank, you can keep up to 4 goldfish there. This also means that you should have at least a 20 gallons tank when keeping a goldfish. A fish bowl is definitely not cool! Note: Besides having enough space for your goldfish, you have to make sure that your tank is cycled and has a good filter. If the fish shop can keep so many in one tank, why can’t we? Well, you have to understand that the fish shop is only keeping their goldfish stock for a short while as they are meant to be sold away. 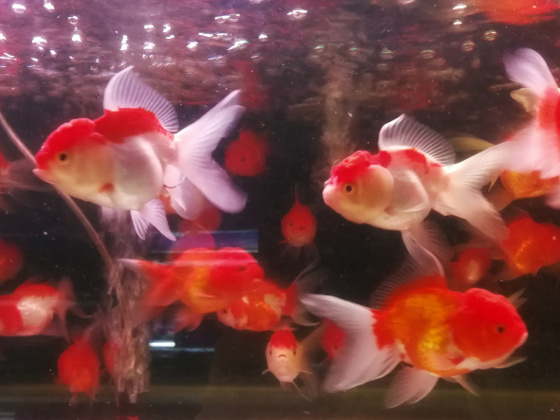 Besides, most of the goldfish that the fish shops sell are very young and they have workers who do frequent water changes to remove the toxic build up. Oh dear, I overstocked my goldfish tank. What can I do? Upgrade your tank to something bigger. If cost is an issue, you can check out those plastic storage containers that come in bigger sizes but with lower costs. Anyhow, always make sure the tank/container is properly cycled and have a working filter before putting your goldfish in. Check and see whether your fish shop is willing to take some back, or sell/give them away to other goldfish keepers. So that’s it. Hopefully this article gives you an idea on how many goldfish in a tank that you should keep. Posted in Goldfish Care, Useful InfoTagged Basic Info, Stocking16 Comments on Goldfish Stocking – How many goldfish in a tank that you can keep? 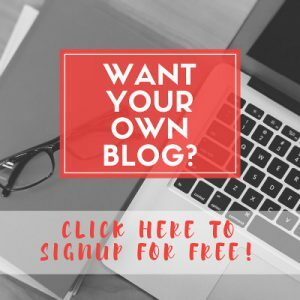 I was confused, very good way of starting an article! Seems like you have more than one interest? Very good, and I didn’t know this about the goldfish. Now I begin to understand why some of my friends have problems with their fish dying. I will inform them about your article. LOL, I was just goofing around with the word “stocking” at the beginning of the article. I am happy you were entertained by it, haha. I have a freshwater tank now with non-goldfish fish but the same principles apply regarding a large enough tank, understanding the Nitrogen cycle etc. I always thought it was cruel to have tiny little fish bowls. We only have a cory catfish now after losing our White Clouds and one other catfish one at a time over the course of many months. We still aren’t sure what happened. The water tests always showed everything was good. We had plants but gave them up since we have nematodes (or some tiny, clear worms the live in the water). It seems impossible to get rid of them for good. We are careful not to overfeed so I don’t think that is the problem. Have you ever had these clear wormlike things in one of your tanks? How can we get rid of them? They are very tiny and you only see them when they wiggle through the water. When we have asked we were told they do not harm the fish and the fish can actually eat them. It is gross when there are a lot of them though so we try to get rid of them. Sorry to hear about those fishes that did not make it. Sometimes there are other factors that may not show in the water tests such as toxic materials such as detergents or oils that got into the water accidentally. Besides that, there could be internal abnormalities or diseases in the fishes that we could not see. That’s the interesting thing about fishkeeping. Anything can happen! So we suspect and learn along the way. We just do our best in areas we know, and hopefully, we learn more as we go along and expand our area of knowledge & experience. As for those wiggly worms, yes I do have them in my goldfish tank sometimes. My goldfish eat them.., and if I couldn’t stand the sight of them, I would just use a fine fish net and scoop them out. Actually, I noticed when I came back after being away for a few days, there were less of those worms around. I do think they are there because of leftover food that could be trapped in the substrates. If we don’t clean the tank for 2 weeks I can look in and see thousands of the worms in their larval form on all the glass sides of the tank. They are very tiny but if you look closely and pay attention you can see them moving! it is pretty scary to see so many sometimes. I wonder if they came in something when we first got the fish or plants? I have recently started scooping them out if I just see one or two early on to try to control the spread. Yes, these worms could have been introduced into the tank via the substrates, decorations, plants and water from the bag that your new fish came in. Anyhow those that you see crawling/swimming around your tank are usually not harmful to the fish. Apparently worms that you can see in the tank (and not attached to your fish) are usually harmless. However you will still want to control their population. I always wondered why there were so many fish kept in the fish tanks at places like the malls. Now I definitely have a better understanding. I am glad you explained the sizes of fish and especially bioload. As parents, we buy goldfish for our children sometimes without really being educated on all the aspects of goldfish. You have truly educated me today. Aren’t there other fish that you can introduce into the tank that help with the water quality? My son and daughter both have goldfish, but they also have a few others including those ‘big mouth’ algae eaters (I’m not a fish guy as you can tell). They both have pretty large tanks though and they do change their water regularly. Unfortunately, there is no fish that helps with water quality directly. The algae eaters that you mentioned eat algae and perhaps leftover fish food at the bottom of the tank. So clearing that leftover food may help with the water quality just a tiny bit. To maintain good water quality, we need to have enough beneficial nitrifying bacteria in the tank that breaks toxic compounds into non-toxic. Check out my posts on Nitrogen Cycle and Cycling the tank. These links will assist you in understanding what goes on in your tank that affects water quality. Great article! very informative. That answers my questions about how many goldfish I can stock. And, I have always wondered why shops can keep so many in one tank. That makes sense. Thanks Eddie. Glad it helps! I don’t have any fish, but if I ever get any fish it is good to know some info on Gold Fish. LOL, although my article is not really about socks, I am glad I was able to recommend you some.